Do you know what’s in your family’s water? Understanding water filtration, water purification, and water distillation is the first step in providing the highest level of water quality for your family and home. At Aqua Pride, our mission is simple: We want all of our customers to experience great tasting, clear, odor-free water in their homes. For over 20 years, Aqua Pride has been purifying water in the York County and Charlotte area, including Rock Hill, Fort Mill, Clover, and Lancaster. Our goal is to educate you about the importance of yearly water testing and to help you understand your water test results. We’ll then implement a water filtration system that will best fit your needs and lifestyle for a lifetime. Aqua Pride offers many services to help cleanse your well water or city water. You can count on Aqua Pride to stand by the work we do. All of our work and systems come with a one year satisfaction guarantee*. We’ll give you free salt for one year, along with the best warranties* in the area. Contact Aqua Pride for more information on water conditioning, water softening, water filters, water filtration, water purification, and water distillation. We serve York County and the surrounding area, including Rock Hill, Fort Mill, Clover, Lancaster, and Charlotte. 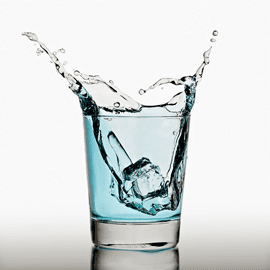 Call us today to learn how we can give you great tasting, clear, and odor-free water for a happy, healthier life!